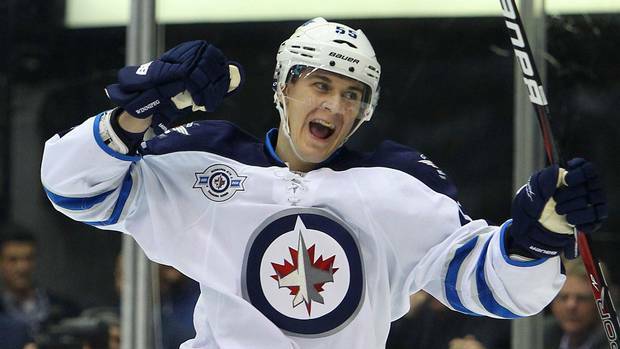 The Winnipeg Jets have signed center Mark Scheifele to an eight-year, $49 million contract extension with an average annual value of $6.125 million. The 23-year-old enjoyed a breakout year this past season, scoring a team-leading 29 goals and collecting 61 points in just 71 games. Scheifele’s 61 points were good for second on the team behind only star forward Blake Wheeler (78). Scheifele has 58 goals and 145 points in 227 career regular-season games and one point in four career postseason games, all with the Jets. Scheifele, taken with the seventh overall pick in the 2011 NHL Entry Draft, was the Jets’ first draft selection after the franchise relocated from Atlanta in 2011. Scheifele has been considered an elite NHL prospect ever since he was drafted. This signing comes one day after the Jets signed forward Mathieu Perreault to a four-year, $16.5 million contract extension. Scheifele is definitely someone to consider in all fantasy hockey formats. This kid was on fire, netting 14 goals and 27 points in the final 21 games of the season. If Scheifele continues to show this type of progression, the $6.125 million cap hit will like a steal for the Winnipeg Jets in the future It is obvious the kid has the right attitude. I believe Scheifele has all the tools to become the elite player he desires to be. 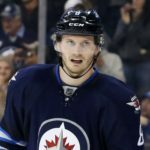 The Winnipeg Jets have done a masterful job stockpiling young talent. Jets fans should see exciting hockey for years to come.